PITTSBURGH & CHICAGO--(BUSINESS WIRE)--Sep. 24, 2018-- Kraft Heinz Canada announced today that it has completed the acquisition of the assets of Ethical Bean Coffee. 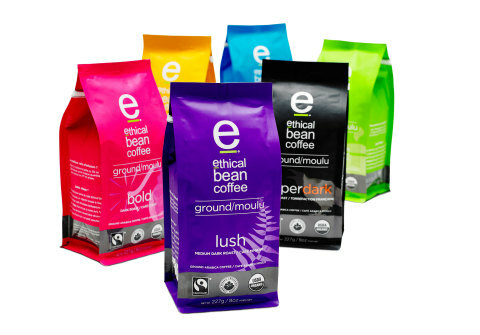 Founded in 2003, Ethical Bean Coffee is a leading roaster of 100% Fairtrade, certified organic coffee. Based in Vancouver, British Columbia, Ethical Bean is committed to social responsibility, global awareness and environmental accountability. Kraft Heinz Canada is a subsidiary of The Kraft Heinz Company (NASDAQ:KHC), the fifth largest food and beverage company in the world. A globally trusted producer of delicious food, The Kraft Heinz Company provides high quality, great taste and nutrition for all eating occasions. Kraft Heinz Canada, composed of its portfolio of iconic brands including Kraft, Heinz, Cracker Barrel, Classico, Philadelphia, Renée’s Gourmet, Maxwell House and Nabob is the #1 food and beverage and the #1 foodservice company in Canada and our products are found in more than 90% of Canadian households. Kraft Heinz is dedicated to the sustainable health of our people, our planet and our Company. For more information, visit www.kraftheinzcompany.com. Ethical Bean Coffee is a leading roaster of 100% Fairtrade Certified Organic coffee. Co-founders Lloyd Bernhardt — recognized by Business in Vancouver's "Top 40 under 40", and Kim Schachte — an award-winning graphic designer, are committed to social responsibility, global awareness, and environmental accountability. Their journey to Guatemala in 1999 to adopt their daughter forever changed their lives, sparking a passion for the culture of the country and inspiring a desire to better the lives of the farmers and families living and working in the coffee industry. The couple returned to Vancouver and in 2003 launched Ethical Bean Coffee. What began as a small operation with one employee has grown into an international success.